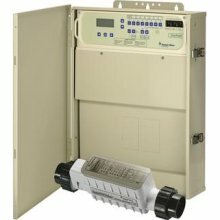 Are you tired of mixing chlorine? Are you tired of itchy eyes, irritated skin and that chemical smell? If so, then a Copper Canyon salt water pool is for you! Salt water pools utilize salt, a natural element also used to preserve food and drinking water, by having salt ions travel across specially coated blades powered by a low electrical charge to produce low levels of chlorine, just enough to keep your Copper Canyon pool clean but not enough to irritate your body. No more red eyes or irritated skin. Also, because salt generates into chlorine automatically, you won’t ever have to manually mix or pour chlorine ever again. It’s that simple! If you are in the Copper Canyon, Texas area and need assistance setting up or maintaining a saltwater pool system, then contact Texan Blue Pool Service today! Whatever your salt water pool system needs, don’t hesitate to call Texan Blue Pool Service today! Salt water pools may be easy to maintain, but they are not maintenance free, In order to make sure that your salt water pool continues to provide you with the best swimming experience, be sure to monitor your salt levels and maintain proper pH levels, around 7.4-7.8, once a week. You may also be tempted to lower your filtration time, but please make sure that you allow your pool to properly filter 8 hours a day, otherwise your pool will not be able to produce enough chlorine to keep your pool from having algae problems. Be sure to clean your salt cell, also called an electrode. Salt cells are key for the process of turning salt into chlorine and helping to keep your pool looking fresh. Finally, be sure to have your filter cleaned regularly. A clean filter means a clean pool. Once again, Texan Blue Pool Service wants to reiterate that salt water pools are easy to maintain, they still require maintenance. If at any time you do run into a maintenance problem with a salt water pool in the Copper Canyon, TX please don’t hesitate to call Texan Blue Pool Service. Our technicians are here to help so if you need some help learning about proper maintenance or need help cleaning your pool, we’re happy to help. Salt water pools are wonderful, but sometimes companies oversell them by claiming that salt water pools require “no maintenance.” That is not true. Salt water pools are easy to maintain, but they do require regular maintenance. In order to keep your pool looking its best, read some of the tips below as well as the maintenance section. When setting up your pool, balance your water with Sodium Bi-carbinate to bring up the alkalinity and pH levels… Then stabilize your pool with sun conditioner (cyanuric acid). Then, you’ll want to add 200-250 lbs of food grade pool salt. ( DO NOT add all 200 to 250 lbs of salt at one time, spread it out to 2 bags every 2 or 3 days). Be sure to circulate the salt and check up on your pool’s chemical levels for the next 24 hours. If necessary, you can add more bags. Next, to properly fight algae, add 6 oz of Sun Algaecide 60. Be sure also obtain 4 oz of Sun Scale/Metal control. After the initial set up, be sure to set up a maintenance schedule to check your water levels, test and treat your water and clean your filter. Salt water pools and chlorine pools have their own advantages and disadvantages. Salt water pools require less maintenance and are more eco-friendly, easier on your skin and hair, safer for pets and attract less mosquitos than chlorine pools. On the downside, salt water pools are initially more expensive. However, this is because salt does not fade from water as easily as chlorine does. Because of this, salt water pools will pay for themselves after two to three years with how much you save on having to buy new products. On the other hand, chlorine pools are cheaper in their initial cost and because chlorine pools are so widely used, finding chlorine tablets is easy. Some people also feel more comfortable using chlorine pools because they feel that they eliminate germs more effectively. However, chlorine pools have plenty of downsides. Aside from irritating your skin, damaging your hair, and attracting mosquitos, chlorine pools also require much more maintenance. The monthly maintenance cost for a chlorine pool can also cost $50-$60 depending on the size of the pool. Salt water pools, in contrast, only cost $20-$30 to maintain for a whole summer season. To some people, chlorine is also an allergen. Thinking about upgrading your Copper Canyon chlorine pool into a salt water pool! Great! On average, the cost of converting a pool is $1,200-$1600. This may seem steep at first, but the amount of money you will save on maintenance as well as the elimination of irritated eyes and faster fading swimsuits will prove worth it in a matter of months. Unfortunately, converting your system isn’t as easy as just switching from chlorine tabs to bags of salt. 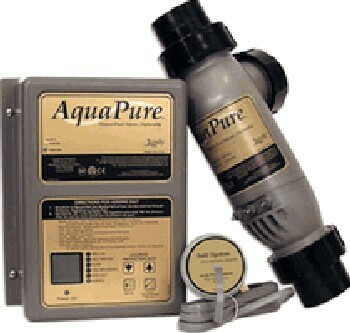 First, you’ll need to get a salt water filter system that helps generate the chlorine. 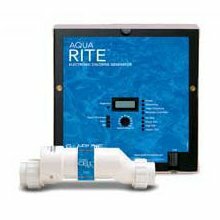 At Texan Blue Pool Service we offer top of the line Copper Canyon salt water pool filters from high-rated companies such as Jandy, Hayward, Pentair, Davey and Zodiac. If you’re interested in upgrading your pool to a salt water system, call us today and we’ll set up an appointment to send a trained Copper Canyon technician wherever you are in the Copper Canyon, TX area! In terms of building a Copper Canyon pool, the cost is roughly the same for chlorine and salt water pools at around $2,000. (Of course, this can vary depending on the size of the pool and the material the pool shell is made from. Concrete is the most expensive, vinyl is the least expensive.) However, salt water pools do require another $1,000 to set up the salt conversion equipment. Let’s compare a few monthly Copper Canyon pool costs. Pool chemicals for chlorine pools can cost $25-$40 each month, where as the bag of salt needed to maintain salt water pools costs less than $10 per month. There are many benefits to having a Copper Canyon salt water pool. For instance, salt will not damage your hair or irritate your eyes or skin. Salt water also creates a safer area for your pets and family. Not only that, but the process is much more eco-friendly for our Copper Canyon community. On the financial side, salt water pools cost less than chlorine pools to maintain. While a Copper Canyon chlorine pool can cost $50-$60 to maintain each month, a Copper Canyon salt water pool only costs $20-$30 to maintain throughout the whole summer season. There are a few problems to owning a salt water pool. Initially, a Copper Canyon salt water pool is more expensive than a chlorine pool. While you will eventually get your money on this investment from the lowered cost of maintenance products, it will take a few years. Also, if you do not keep up with proper maintenance, your pool can form algae. If this persists, please contact one of our Copper Canyon technicians for a proper cleaning and assistance on how to maintain your pool in the future. Salt water pools are rapidly replacing chlorine pools around Copper Canyon, but they actually were developed in Australia in the 1960s. In fact, 80% of Australian pools are salt water. Salt water pools were first introduced in the 1980s and now that that salt system technology has become more advanced, as of 2007, 75% of pools use salt systems. For more information on Copper Canyon salt systems, you can call Texan Blue Pool Service, we’re happy to answer any questions you might have or check one of the web links below.